Summer 2006, under a stormy sky and summer rain, two girls are heading in the muddy fields of Beauce country side in Quebec Province. 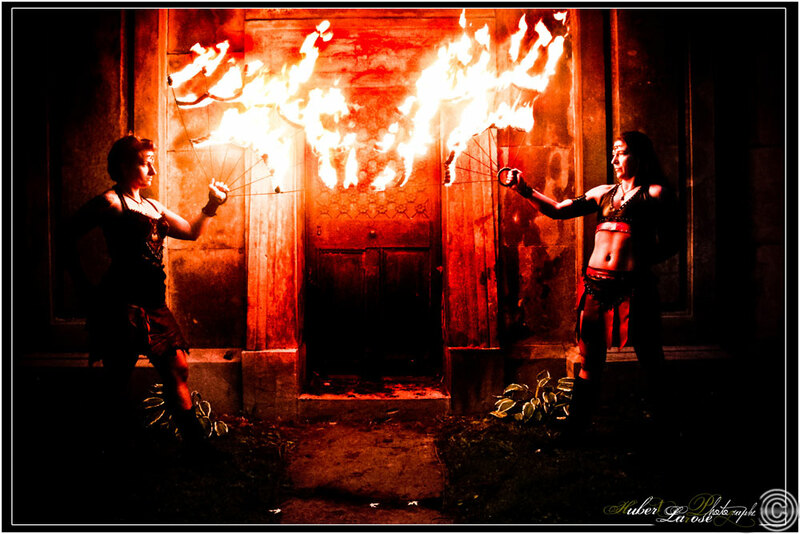 To the rhythm of tam-tams and thunder, illuminated and warmed by their fire camp, Aisha and Sonia improvise for the first time a duo performance. Since then, they travel Quebec roads to offer various shows, like acrobats, dancers, fire breathers, trapeze artists and jugglers, in a more varied clientele. 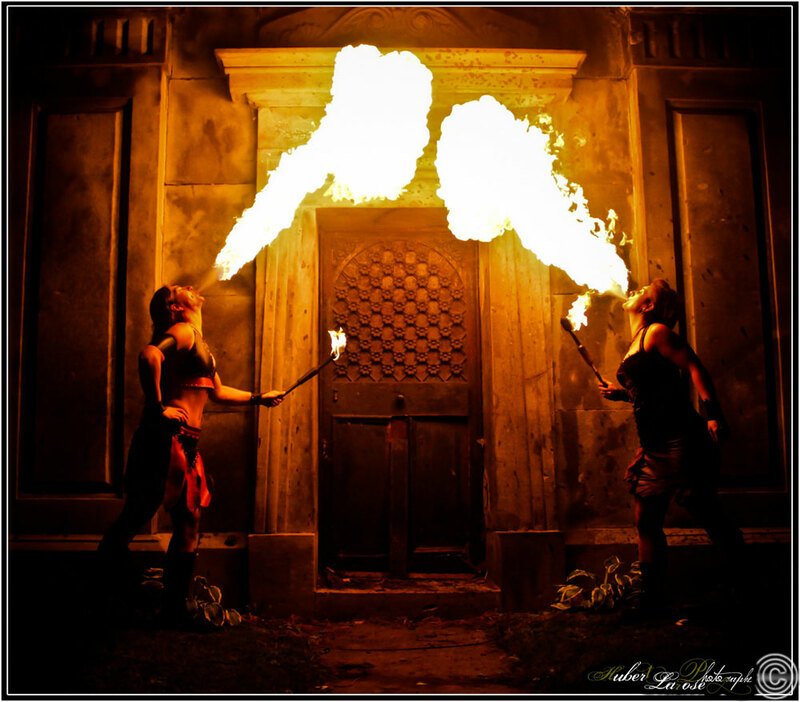 They know captivate the audience’s attention with their flaming dances. Lots of energy, a touch of exoticism, a sense of humor and breathtaking performance await you at the gates of the fantastic world of Carnaval Abraxas.